A great iTunes alternative to selectively back up and restore iPhone/iPad/iPod touch, to keep your iOS data safe and in order (iOS 12 supported). Data loss is inevitable, so regularly backing up iPhone/iPad is the best way to protect your precious data. Comparing to iTunes/iCloud, Fucosoft iOS Data Backup & Restore is a better choice to back up and restore iPhone/iPad/iPod touch data. 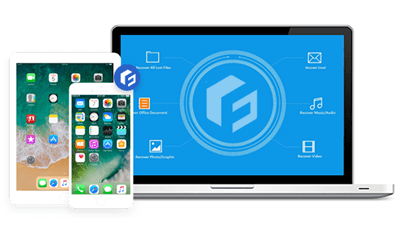 With it, you can backup all data on your iPhone or iPad in one click and flexibly restore whatever you want to iOS device. 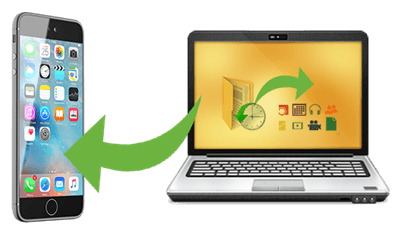 Fucosoft iPhone Data Backup & Restore provides a much easier and flexible way to back up data from iPhone or iPad to Windows PC/Mac computer. You are able to make a full back of your iOS device or back up only Contacts, SMS, WhatsApp/WeChat data just in one click. Multiple backup files can be kept as the new backup will not overwrite the old one. 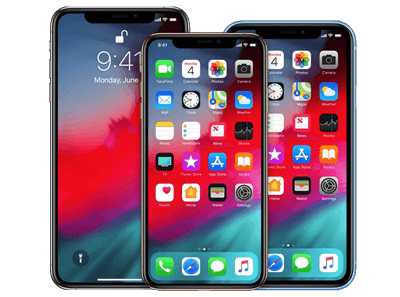 With this powerful iOS Data Backup & Restore tool, you are capable of viewing every details in the backup file, and restoring iTunes/iCloud/Fucosoft backup to your iOS device directly. The restore process won’t overwrite any existing data on target device. Also, you can preview and export any items from backup file to your computer as HTML, CSV or vCard files. Supported Data: Contacts, Messages, Call History, WhatsApp, WeChat, Viber, Kik, Skype, Line, Photos, Videos, Notes, Voice Memos, Safari Bookmarks/History, Calendar, Reminders, etc. Supported Devices: iPhone XS/XS Max/XR, iPhone X, iPhone 8/7/6s/6 Plus, iPad Pro, iPad Air, iPad mini, iPod touch 6/5 etc. running on all iOS versions even the newest iOS 12.1/12/11. Fucosoft iPhone Data Backup and Restore is 100% safe and secure. You don’t need to worry about data loss on your iPhone or iPad during the backup and restore process. Besides, it is a read-only program which doesn’t harm your iOS device or computer. The program is very easy to use. You are able to backup and restore iPhone data in 1 click, no technical knowledge is required. Step 1: Select Back Up Device and connect your iPhone or iPad to the computer.. Step 2: Choose the data types you want to back up or just make a full backup. Step 3: Hit the Back Up button to backup data on your iPhone/iPad to computer.